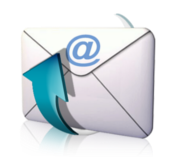 The Virtual Key (a DigitalEffex company) provides email service in Pensacola. Email has revolutionized business communications. Entrepreneurs are no longer at the mercy of the speed of the post office and don’t have to roll the dice on whether someone is in the office to receive a phone call. Businesses can save money, open up effective marketing options, keep communication lines open within a company and collaborate on projects all through the use of email. Up and coming generations of workers are more comfortable using email than traditional letters or memos. Companies can explore methods of using email to reach important goals and make business more efficient.